Are you suffering from loose dentures or with missing teeth? Are you frustrated about not being able to eat the foods you love? Are you embarrassed about the condition of your teeth? Are you ashamed to smile? 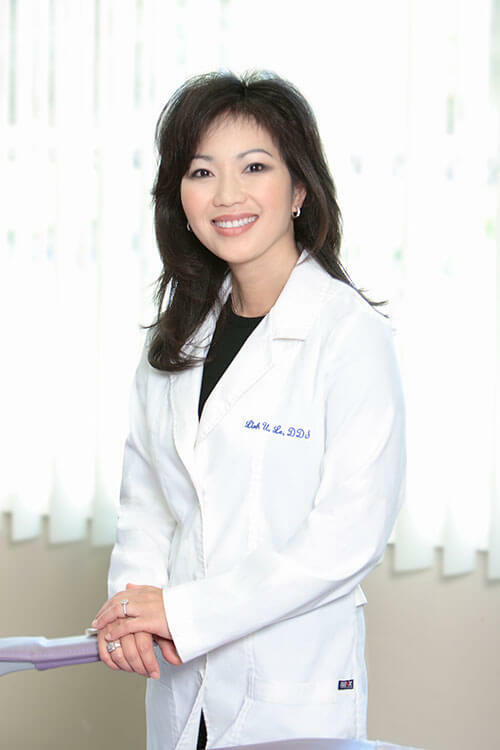 My name is Dr. Linh Le, the Smilemaker from KKLA and I have some good news for you. WE CAN HELP! If you are suffering from loose dentures or missing one or more teeth, MINI DENTAL IMPLANTS can be the solution to your problem. I’ve been providing this service for over two years, and the results are excellent. Mini dental Implants are smaller, less invasive, more affordable to our patients and after extensive research studies, have proven to have the same success rate at about 95% as traditional implants. Mini Dental Implants are 5 times LESS: Less Invasive, Less Pain, Less Healing Time, Less Visits to the Dentist and about HALF the cost of older traditional implants. Because Mini Dental Implants are smaller, less invasive, and have a faster healing time, we can many time stabilize your dentures or restore a missing tooth in ONE SIMPLE VISIT!! The results are immediate allowing you to eat, smile, laugh and speak again with confidence and comfort. Additional benefits are improved attractiveness of your smile, improved nutrition and preservation of your bone and facial structure. Mini Dental Implants are not limited to only denture stabilization, they are FDA approved for long term use in single tooth replacement , as well as multi and full arch fixed mini dental implant supported bridges. Our patients love that there are options for all scenarios they come in with. Finally, for those patients who have been turned away from traditional implants because of little or no bone, mini dental implants is the ideal option for you. We have had great success with patients with minimal bone. Due to the smaller diameter of the implants, we can work with a smaller ridge of bone with less disruption to the bone, allowing for a quicker healing time and greater success, especially in case of the Lower Denture, which is the source of most people’s complaint. Mini Dental Implants have been a “life changing” procedure in my practice! If you are suffering with loose dentures or missing teeth, preventing you from eating, functioning and being you best self, I invite you to come in to our office for a FREE consultation so that we can customize a plan to give you back the confidence to eat the foods you love, to smile again, and to be your BEST SELF! !